My dog has a sensitive stomach, what should I feed him? This is a very common problem and a question that we get asked a lot. If you are feeding a dry complete food, try changing our own Myhill’s Super Premium range which is hypoallergenic and is formulated without wheat and wheat gluten and therefore suitable for dogs and cats with sensitivities to these ingredients. The range comprises the very best nutrition for all sizes, lifestages and lifestyles of pet – however sensitive they may be. Our range is made in the UK, in Europe’s most advanced and environmentally sustainable pet food manufacturing facility which produces some of the world’s finest pet foods. It also represents exceptional value for money compared to its competitors. If wishing to feed a wet food, we usually recommend the range from Naturediet as it blends only the most suitable ingredients for a natural approach to overall health and digestion. They use only the finest quality ingredients and is made without artificial additives, preservatives, colourings and flavourings. 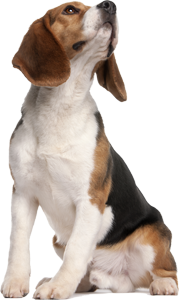 Naturediet is recommended to help dogs prone to colitis and other intestinal disorders. This is because our natural ingredients, without the use of chemical additives, reduce the risk of allergy related problems occurring. Naturediet Sensitive can help with this condition being a fish based diet; however, all Naturediet varieties have been proven to have a positive effect. Yes we do at all of our shops (except Watton). We stock rabbits, hamsters, guinea pigs, budgies, canaries, zebra finches, cockatiels, tropical and cold water fish. Our stock varies depending on availability, so please ring your local store to see what they currently have. Afraid not, apart from the last two Sundays before Christmas. Generally we are open Monday to Saturday and please see the individual stores page for their opening times. Yes we run a local delivery service. We charge £1.50 within a 5 mile radius of each branch, but if you spend over £30 it’s free. If you live outside of that area please contact your nearest branch. Please order by 12.00 on the day prior to your area’s delivery day. The days that we deliver on are shown on each stores individual pages. How do you treat fleas? 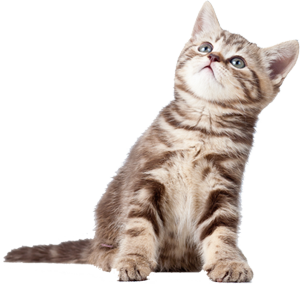 You will need to treat both your pet and your home, as fleas can survive without a host for many months. We sell a wide range of treatments for both your pet and your home from all of the leading manufacturers and we will be happy to advise the best for your specific circumstances. Only give your pet flea treatment designed for it as products suitable for one species may not be suitable for another e.g. some dog flea treatments contain permethrin, an insecticide that is safe for dogs but highly toxic to cats. You will also need to clean the bedding regularly and vacuum furniture, floors and skirting boards to help destroy fleas. Make sure to throw away the dustbag from your vacuum after each use. Receive £5 off your purchases. For more information and to pick up a card visit your local store. For delivery times and days, please visit your local store page from the dropdown menu above. Sign-up to our newsletter to receive special offers.